Tom Slater (University of Edinburgh) on Imogen Tyler’s Revolting Subjects: Social Abjection and Resistance in Neoliberal Britain. 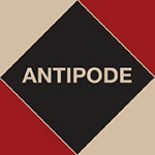 All Antipode book reviews are now freely available from our online repository, Wiley Online Library. While this digital archive will remain in place, from January 2013 we’ll no longer publish book reviews in the journal; all book reviews will migrate to AntipodeFoundation.org. This will allow us to feature not only more reviews, but also more substantive reviews (in the style, say, of the London Review of Books), more quickly. The makeover will also transform the book reviews section into a more capacious ‘Book reviews, etc.’ section, that may now feature, in addition to book reviews, reviews of film and music, grey literature, and political pamphlets – in fact, any texts that have something to say to the radical geographic imagination. If you’ve an idea for a review, please get in touch with Vinay Gidwani (gidwa002@umn.edu) and Andy Kent (antipode@live.co.uk). Some new reviews from Antipode (all open access). This entry was posted on 12 September 2013 by Antipode Editorial Office in Reviews and tagged abjection, Andrew Burridge, Ben Anderson, borders, class struggle, community land ownership, David Harvey, Deirdre Conlon, Dominique Moran, Felix Wiegand, Fiona Mackenzie, German geography, Hell's Kitchen, Imogen Tyler, Jenna Loyd, Joseph Varga, Matt Mitchelson, migration, Nature, Nick Gill, non-representational theory, Paul Harrison, prisons, property, resistance.